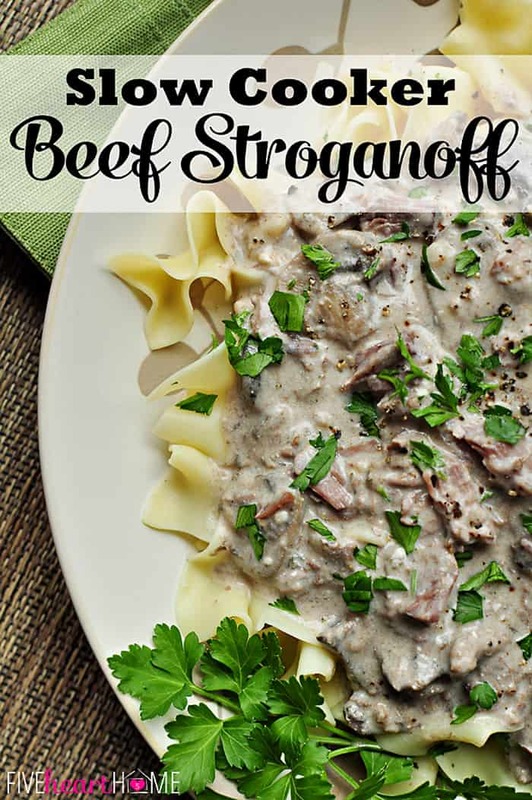 Home » Recipes » Main Dishes » Slow Cooker Beef Stroganoff ~ No ‘Cream of X’ Soup! Tender chunks of beef and hearty mushrooms are complemented by a parsley-flecked sour cream sauce in this easy, comforting, slow cooker meal. 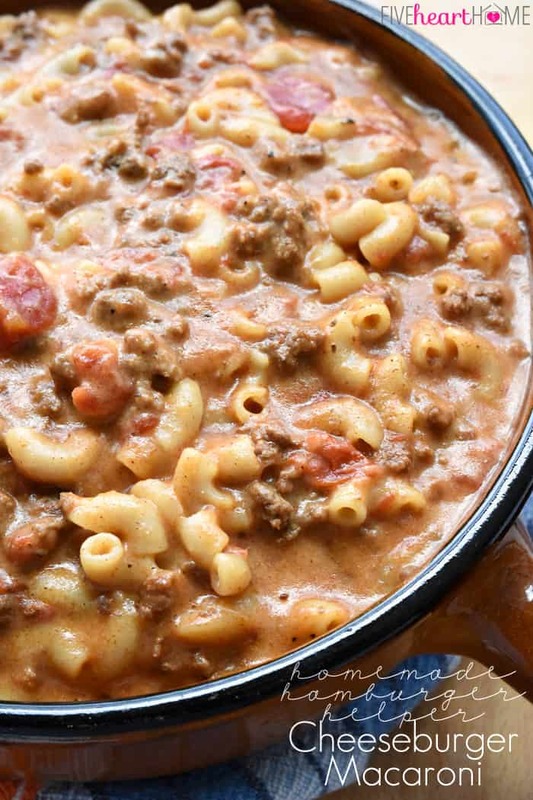 This crock pot favorite is an all-around hit when I make it for my family. My kids happily eat it (even the mushroom-hating preschooler), my husband raves about it, and I’m a happy camper because this tasty dinner doesn’t require me to slave over the stove all day. You may have seen a slow cooker version of beef stroganoff before that relies on canned cream of mushroom soup as the base for its creamy sauce…but not this one. While you can definitely count on some shortcuts to hasten the preparation of this meal — such as buying beef stew meat already cut up and fresh mushrooms already sliced — canned soup is not necessary. Stirring sour cream into the thickened broth towards the end of the cooking time is all you need to do to create that signature stroganoff sauce. As with most crock pot recipes I cook, I use a refrigerated jar of minced garlic in lieu of chopping up the fresh stuff. I find that after cooking for so many hours in the slow cooker, the jarred garlic turns out just as good as fresh minced garlic, so I like to save myself the chopping time. And if you have fresh parsley on hand, go for it! But dried parsley works just fine in this recipe as well. Onions or not, this slow cooker supper is hearty and comforting. Just before serving, boil a pot of egg noodles and throw together a salad and you’ll have a delicious dinner to warm you up on a chilly day. This one is mighty popular around here, and I hope that you all enjoy it as well! Tender chunks of beef and hearty mushrooms are complemented by a parsley-flecked sour cream sauce in this easy, comforting slow cooker meal. Place beef, mushrooms, and garlic in crock pot. In a medium bowl, mix together beef broth, red wine (if using), Worcestershire sauce, mustard, garlic powder, onion powder, dried parsley, thyme, and flour. Whisk mixture until flour is dissolved. Pour into crock pot, add bay leaf, and stir all ingredients until coated. Place lid on crock pot and cook for 8 to 10 hours on low (or 4 to 5 hours on high). About 20 minutes before serving time, add cream cheese to crock pot and replace lid. After 10 minutes, stir warmed/softened cream cheese into sauce, pushing with the back of a spoon to break it up and incorporate it into sauce. Stir sour cream into sauce. (Add fresh parsley at this point as well, if using.) Replace lid and cook on low for a few more minutes until heated through. In the meantime, boil egg noodles according to package directions. Remove bay leaf from stroganoff, taste, and add salt and pepper as desired. Serve over hot egg noodles and garnish with additional minced parsley, if desired. Don't open a whole bottle of red wine just for the sake of this recipe. 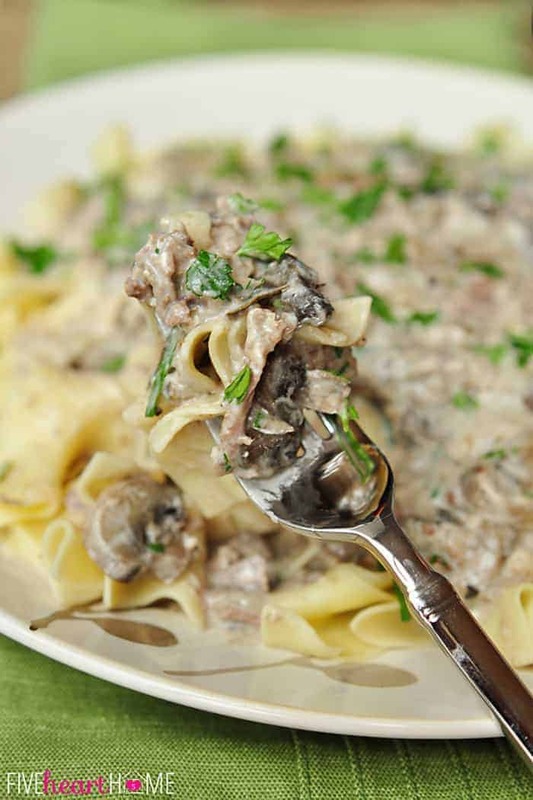 But if you already have a bottle open, or if you're going to be opening a bottle to drink with dinner, you can add an optional splash to this stroganoff for another layer of flavor. Instead of 2 tablespoons dried parsley, you may use 1/2 cup of fresh minced parsley, but add fresh herbs to the recipe at the same time as the sour cream as opposed to at the beginning of the recipe. The cream cheese makes the stroganoff sauce extra creamy, but you may leave it out if you prefer to make this dish lighter. Samantha, this looks amazing and your photos always just blow me away! I am almost afraid to tell you that i love onions but I promise this will be my only mention of that word to you, ever! Great recipe!!! Thanks for sharing and pinning! Ha ha, Cindy…I have no problem with anyone else enjoying their onions, just as long as I don’t have to eat them (much less touch them)! 😉 Thanks, as always, for the sweet words. Hope you are hanging in there okay…take care this week! Cindy, I pretty much put onions in everything..sorry Samantha, but I can certainly understand as if any part of a Beet touches my food or I smell one I gag…lol. I was looking for a Beef Stroganoff recipe that did not rely on something canned. I prefer the healthiest way of cooking from scratch and the taste in my opinion is always better than something that is massed produced. So far my crockpot has been on for 3 hours and I just tasted the broth….I’m just going to say, fantastic, so much flavor. Too lazy and in a hurry to chop fresh garlic so I used Trader Joe’s frozen garlic cubes. Thank you for this awesome recipe. Also, in lieu of egg noodles I am making my Peppered Spaetzel which just adds the layers of flavors! No worries, Michelle…this recipe definitely has onions traditionally so I know most people will include them. But I’m glad you can commiserate with my onion aversion based on your dislike of beets — ha! And I think that refrigerated or frozen garlic is great for crock pot recipes…those recipes cook so long that by the end, I don’t think that you can tell if it was freshly chopped garlic anyway. 😉 Hope this turns out great for you and I LOVE the idea of serving it with fresh spaetzle! My mom is from Germany and made spaetzle all the time while I was growing up, so that’s one of my favorite things to eat, ever. 🙂 Thanks so much for your comment…happy Friday! I love LOVE beef stroganoff, sooooo good! Make sure you stop by my link party, Om Nom Nom Friday (Even though it’s Sunday) and share your delicious creations. Love this recipe! Looks delish, I know my family would gobble this up 🙂 Pinning! Thanks so much, Audra! I hope your family loves it, and I appreciate the pin. 🙂 Happy Friday! Thanks so much, Lorraine…I’m honored to have you following along on social media! And congrats on your new crock pot…I hope you enjoy this stroganoff! 🙂 Have a wonderful weekend! I was just thinking of making this today. So glad I found your recipe at the Party Bunch. I’m so glad you found what you were looking for, Jessica, and I hope you enjoy it! Have a great weekend! WOW does this look FABULOUS!! 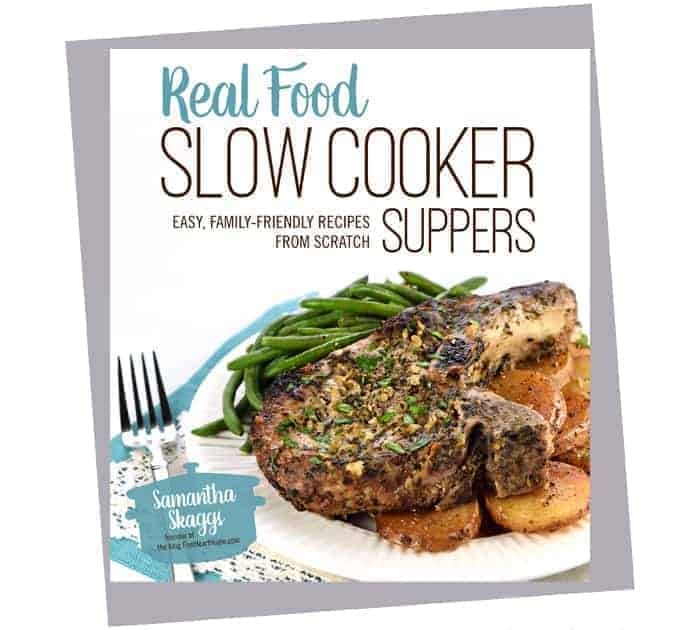 I love slow cooker dinners especially in this COLD weather. Thanks for sharing, I’m putting this on the menu for this week!! I love how you don’t have to add cream of soup! Looks tasty! THanks for sharing at The Weekend Retreat, Hope to see you back on Thursday! I made this last week and it was the best stroganoff I’ve ever had. I used cream cheese and now I don’t think I’ll ever be able to make it without it! It was so good! I have one of those at my house too with the mushroom action. It’s funny how he’ll eat them when they are like this! The things we do to amuse ourselves as mothers, right? I can’t wait to throw all this in the slow cooker and just do what I need to do. The fam is going to love this! You’re awesome, Samantha! You are too sweet, Gloria…thank you! I’m glad to hear you’re going to try this one. I think your family, including your picky mushroom guy, will enjoy it! 😉 Thanks for stopping by…hope your week is off to a great start! 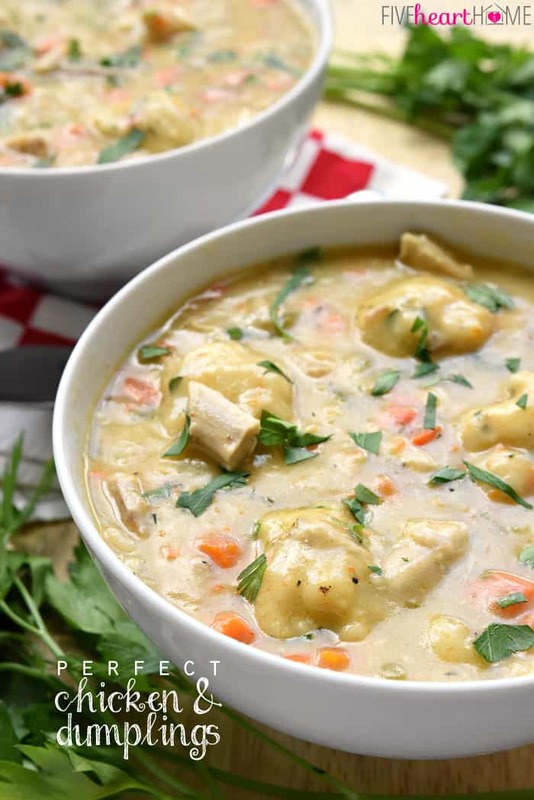 Ooh…I just pinned this and cannot wait to try your recipe without cream soup. This is my go-to evening meal because everyone in my family will eat it. Thanks for sharing at Hit Me With Your Best Shot…Can’t wait to see what you’ve been up to this week! Thanks, Ariean…I hope this is a hit with your family! You won’t even miss the cream soup. 🙂 I appreciate you stopping by…happy Friday! Nice base recipe. I did add an onion. Skipped the cream cheese. Really good, but next time I would leave out the bay leaf. Aren’t you clever and industrious, Nicole?! 😉 I bet this recipe turned out great with your substitutions! And congratulations on your new baby! I’m very impressed that you’re cooking at all at this point…I think I was still totally overwhelmed when my firstborn was 3 months old. 😉 Thanks for taking the time to comment…hope you have a great weekend! Love anything that doesn’t rely on cream of whateva LOL. I make one similar to this, but I’m trying yours…love the taste of bay! Thanks, Judy! I haven’t bought a cream soup in years and I’ve been able to adapt every recipe to work without it. 🙂 Hope you enjoy this one! Drooling over these pictures!! 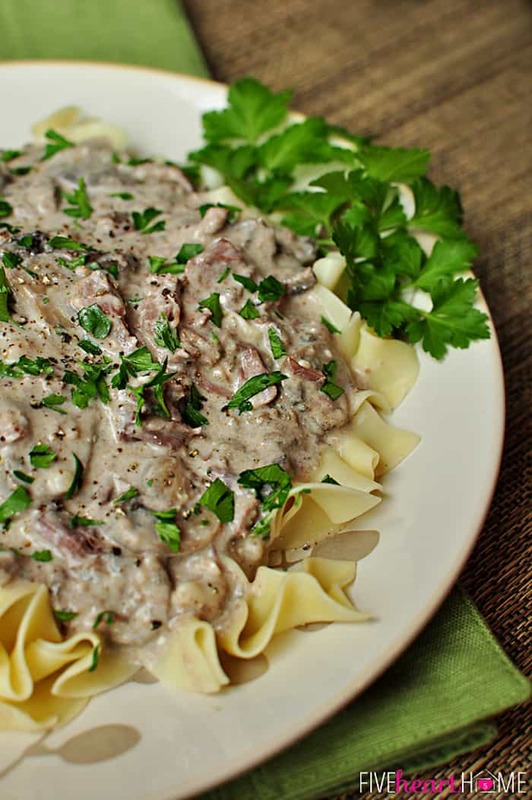 This beef stroganoff looks too good to be true! YUM!! Thanks for sharing on Saturday Night Fever – pinning this now! Hope to see you back tomorrow, Samantha! You are so sweet, Jen…thank you! I enjoy joining y’all each week for SNF and appreciate you hosting. 🙂 Thanks for stopping by to say ‘hi’…hope you have a great weekend! You can substitute nonfat Greek yogurt for the sour cream. I have always done that and it is delicious! Can’t wait to try this. Am making meals for my daughter’s and my son’s families–both have new babies. Looking for things I can take over in a crockpot. This sounds so good–and even better because there is no soup in the sauce. How exciting, Elaine…congratulations on your new grandbabies! I hope that everyone enjoys this recipe when you make it…I’m sure they all appreciate you helping them with meals! And yes, I’ve been avoiding canned soup in my recipes for several years now…I’ve found that there’s always a way to use a freshly-made substitute instead. 😉 Thanks for taking the time to comment…hope you’re having a great week! Thank you Samantha for the nice recipes. Alright….I will admit I adore onions as well so lets just get that out of the way as I used fresh onion vs powdered. I have been hunting for a good stroganoff recipe for 20 years and you my dear have won the internet today because this recipe is fabulous!!! Seriously….kids, hubby, the lot (even the dog loved the raw meat scraps he got as I was prepping…). Delicious recipe. I would like permission to post (link) this recipe onto my blog if you don’t mind? Recipe looks fabulous, and I have it ready to go for the crockpot tomorrow! One question about the Better than Boullion – are you concerned about the yeast extract, dried whey, or hydrolized soy protein in it? It’s my understanding that this is a form of msg. I’ve recently started making my own broths, but I would love to find a clean ‘back-up’ to use. Hi Jill! That is a great question. As mentioned in my post, I use Organic Better Than Bouillon, and the reason for that is I am concerned about some of the ingredients in the non-organic variety. I do not claim to be an expert on this topic, and I would say that making your own broth is going to be the only surefire way to control your ingredients. But I do keep organic BTB on hand as a shortcut ingredient, and I feel that it has far fewer processed ingredients than regular bouillon cubes. I am so happy to hear that you and your husband loved this recipe, Terri! I bet it was particularly tasty with the fresh au jus. 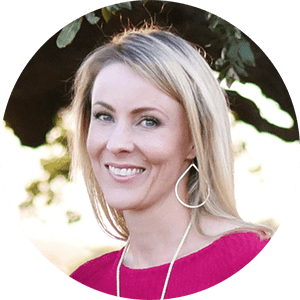 I really appreciate you sharing my blog and I hope you find some other recipes to try that you end up enjoying just as much. 🙂 Thanks so much for the sweet comment…have a wonderful week! I just made this for dinner… DELICIOUS. Loved the addition of cream cheese. THANK YOU! You are very welcome, Melissa! I’m glad you enjoyed this stroganoff, and I agree that the touch of cream cheese makes it even better. 😉 Thanks so much for stopping back by to let me know that it was a hit. Hope you have a great week! Just made this for dinner and it was phenomenal! Thank you so much for sharing! I’m so happy to hear that, Natalie! Thanks for coming back to share that this recipe was a hit for you. Hope you enjoy it many more times to come! Have a wonderful week! 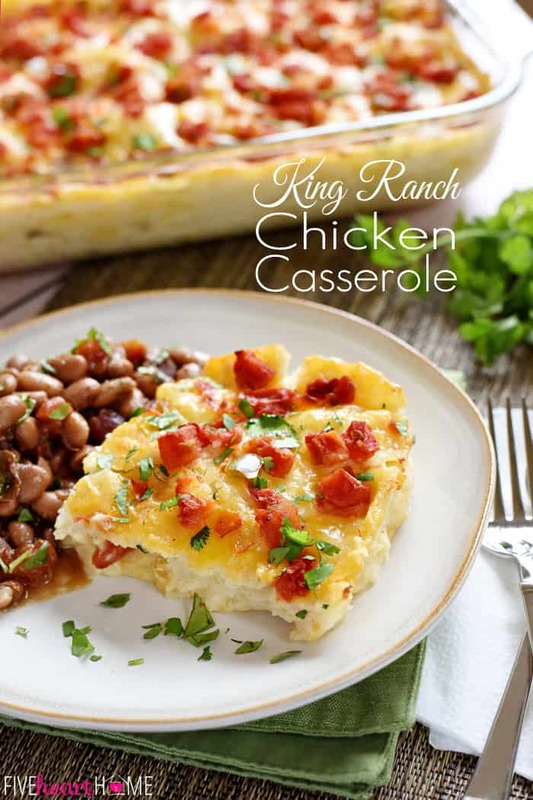 I absolutely love this recipe (and love its lack of onions)! Even my kid who won’t eat mushrooms totally inhaled it! I want to make it for some friends but one is gluten free. Can I substitute corn starch for the flour? I’m so glad your family enjoyed this recipe, Lyndsay…and that you didn’t even feel compelled to add onions — ha! 😉 I’m sure that it could be adapted to using cornstarch instead of flour, but I would probably adjust the recipe a bit to accommodate the change. Instead of stirring the cornstarch into the broth at the beginning of the recipe, I wouldn’t add it until after the stroganoff is finished cooking. Then I would stir 1 tablespoon of cornstarch into a tiny bit of cold water or broth to dissolve it and stir the slurry into the stroganoff. If you want the sauce thicker, I’d repeat again with another tablespoon of cornstarch/slurry until you reach your desired consistency. Since cornstarch is much more “powerful” than flour, it shouldn’t take as much, and the sauce will also be glossier with cornstarch than if you had used flour. After the sauce has thickened, I would proceed with the recipe, adding the softened cream cheese and sour cream. 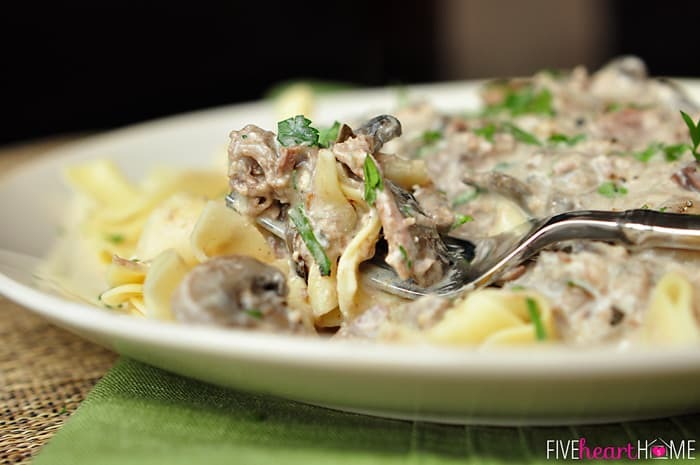 One of the BEST Beef stroganoff recipes I have ever made! Thanks so much for sharing ! Yay, Ponee…it makes me very happy to hear that! 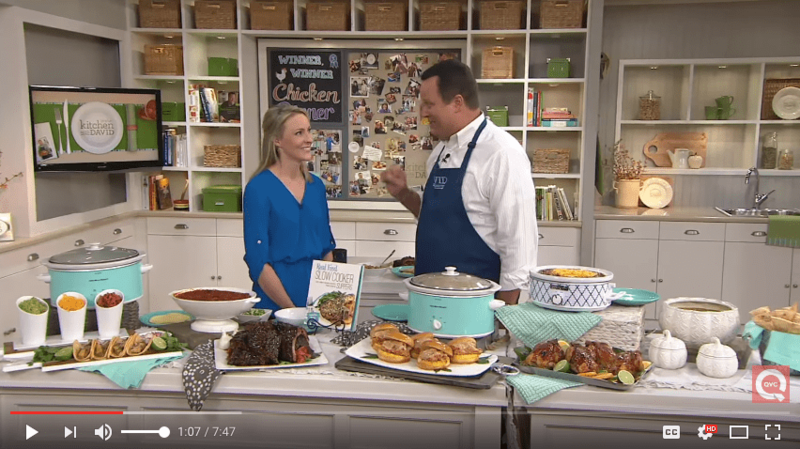 Hope you enjoy this recipe for many years to come… 🙂 Thanks for taking the time to let me know that it was a hit! Not sure if I’ve ever written and told you this but I started following your blog when I read your comment about how you “abhor onions”! That would be my husband. Always have to adjust recipes with that in mind. I did make your Beef Stroganoff recipe and it was fantastic! Thanks much from one who has to always eliminate onions! Ha ha, Gwen…good to know I’m not the only onion hater out there! Hopefully people who like onions can figure out how to add them back to my recipes, because I honestly have no experience cooking with them! 😉 Tell your husband he’s in good company, and I’m so happy that y’all enjoyed the stroganoff. 🙂 Hope you had a very Happy New Year! We are going camping this weekend and I want to try this out on our friends. Can you tell me how many this recipe feeds? There will be 8 adults and I need to know if I should double this. Thanks and can’t wait to try this. Hi Sharon! Sorry…the yield is kind of hidden at the very top of the recipe. 🙂 This recipe makes about 6 average servings. So depending on how big your eaters are, you might want to consider at least making 1 1/2 times the recipe. Hope y’all enjoy it and have fun camping! I’m sorry, I totally missed that.. I guess to anxious to read the recipe. Ha! Thanks! No problem at all, Sharon…I’m glad you asked so that you could be sure to plan accordingly. 🙂 Hope y’all had fun camping and that this recipe was a hit! 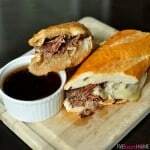 Samantha, tried your french dip recipe a couple weeks ago. Loved it. Thought I’d have another go at one of your concoctions, and gotta say this did not disappoint. This was served a lot when I was a kid, and your version is damn close. I honestly have had trouble recreating the recipe as I remembered, this is the closest I have gotten thus far. I had never considered cream cheese as part of it, yet it totally works. I love it that this recipe came close to replicating the Beef Stroganoff recipe from your childhood, William…that’s the best kind of compliment! And ha, no plans for a cookbook, but I’m so happy that you’re enjoying my recipes enough to buy an imaginary one. 😉 Have a great rest of the week! I was wondering if you know how much, in cups, a serving would be? I made this tonight and I was wanting to log it into MyFitnessPal. I know there are six servings but I didn’t know if you knew a more precise measurement in cups? However, this is SUPER good! My six year old asked if there were mushrooms in it, since he doesn’t like them, nor do I for that matter, but I cut them up small enough that we can’t tell. Anyway, he loved it! I used Chobani 0% Plain yogurt instead of sour cream and it’s DA BOMB! I love anything that doesn’t use Cream of X Soups, since my husband eats a Low Sodium diet, and because they are awful. Thanks for the yummy recipe!!! I will now scour your other recipes to see what treasures I may find! Gosh, Caitlin…I wish I could help you, but I don’t have an actual cup measurement for this recipe. I hope you’re able to guesstimate close enough to give you an answer…? However, I’m so glad to hear that this was a hit at your house, even with the (tiny) mushrooms! 😉 Yogurt is a great substitute for the sour cream, and I’m with you on the Cream of X soup…I haven’t bought it in years. 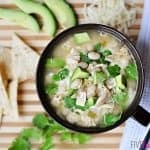 I have quite a few recipes on the blog that are adapted not to use condensed cream soup, so I hope you find another dinner idea that is met with equal enthusiasm. 🙂 Thanks so much for the comment, and sorry again that I don’t know the serving size in cups. Happy Friday and have a great weekend! 5th time I’m making your version of stroganof this winter. Kids pooh-pah’d it at first, now the crock pot is scraped clean every time. My hubby says it’s better than his mom’s (omg!) fresh herbs, sour cream and cream cheese really make this a delish high quality meal in contrast to ccreepy canned soup. Thanks a bunch, new family fave! I’m so happy to hear that your family loves this stroganoff, Rachel, and I’m honored that it’s made it onto your regular menu rotation! 🙂 I’m all about avoiding creepy canned soup as well — ha! I appreciate you taking the time to let me know that this has been a hit, and I hope you’re having a great week! Thanks for the great recipe! Just finished having a bowl over egg noodles. It’s been so hard for me recently to find good crock pot meals. This turned out the perfect consistency…not watery at all yay! I omitted the cream cheese but added a little extra wine :-). I was afraid the mushrooms would be too mushy but they were totally fine being thrown in at the beginning. I sort of halved the recipe (1.25 lbs stew beef, 10 oz mushrooms) and cooked it for longer than 5 hours on high because the beef seemed too tough. Unfortunately it came out a bit too dry…maybe it was actually ready at 3-4 hours? Or it’s possible the cut of meat was too lean. I’ll have to watch it more closely next time I make it. I made a couple of subs: I didn’t have Worcestershire sauce, so I used soy sauce, some vinegar, and tomato sauce. I also didn’t have mustard but amazingly had wasabi (how do I have ketchup but not mustard? I have no clue!). Turned out great! Next time I’ll add more mushrooms because it’s actually my favorite part. I like how they soak up the juices. Thanks again and I’ll be looking at more of your recipes. I’m so happy to hear that you enjoyed this, Amber, and that the recipe worked out with your substitutions. Some crock pots run hotter than others, but if you reduced the amount of beef, it’s definitely possible that it would have been cooked in less than 4 hours on high. The cut of meat can also make a difference, of course. Hopefully it won’t dry out if you try it again, and in looking around the site, I hope you found some more recipes to try. 🙂 Thanks for the comment and have a great rest of the week! Ha, Beth…yay for a recipe that the family gave you permission to repeat! I have a few mushroom “dislikers” as well, so I completely understand. 😉 I’m glad that this was such a hit and I appreciate you taking the time to let me know. Hope you have a great weekend! just made this delicious beef stroganoff recipe! I wanted to thank you for a great recipe without cream of anything in it!!!! My husband is lactose intolerant so I’m always trying to find good “creamy” recipes that I can tweek a bit for him. I just substituted “sour supreme” for the sour cream and omitted the cream cheese. It turned out fantastic!!!! Thanks for the great comfort food!!! I will definitely make this again! So happy to hear that you enjoyed it, Ginny! Thanks for taking the time to come back and let me know. 🙂 Hope you’re having a great week! Oh wow. This is sooooo yummy. Cooked to perfection for 9 hours, with the cream cheese, sour cream and FRESH parsley (as well as a sneaky sliced onion in at the start ;-), this is the best strog I’ve made. Thanks! It’s in the crock pot right now. Smells delicious! nervous that I may have ruined it by adding the fresh parsley at the beginning. May want to add the note about not adding the fresh parsley – if using it – to the ingredients list. Looking forward to noshing on this tonight. Hi Megan! Adding the parsley at the beginning wouldn’t have ruined this recipe…the flavor of the parsley just may have gotten a little lost over the long cooking time. But you can always add more at the end if you like. 🙂 Hope your stroganoff was a hit! 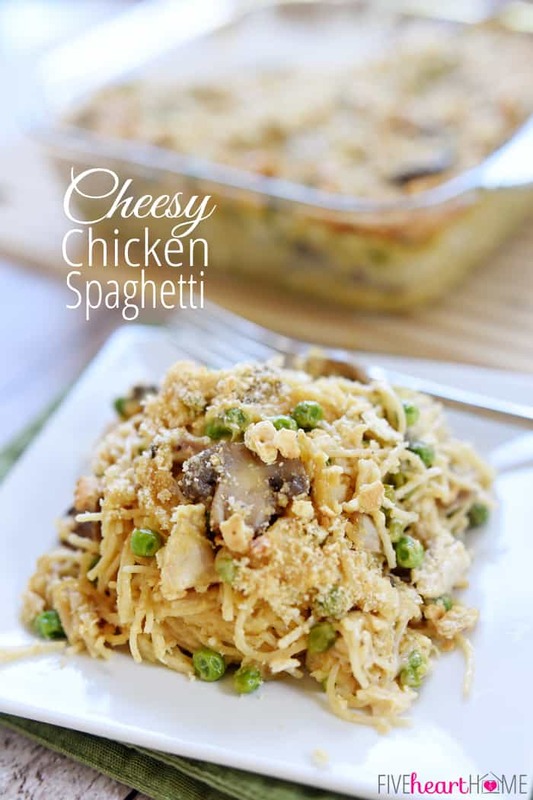 I made this recipe for dinner tonight and it tasted great! I think I overcooked it though, because by serving time, there weren’t any chunks of meat left. It all dissolved into the gravy. Besides the consistency (which I will monitor a little closer next time), this recipe was a hit!! It will be added to our rotation. Thanks for sharing!! 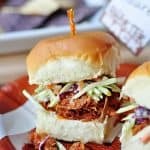 Thanks so much for posting this recipe, I’m going to try it next week. 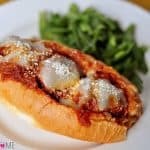 My husband HATES onions (I love them) so it is fantastic to find recipes that don’t include them. I am also trying to eat ‘cleaner’ and a lot of the stroganoff recipes called from cream of mushroom soup. I’m not much of a cook, but I knew there must be an alternative. I can’t wait to try out this recipe. Hubby loves this but i can not eat the mushrooms what to sub? Hi Ernie! You can just leave the mushrooms out if you like, or some people like to add sliced onions to this recipe. 🙂 Enjoy!